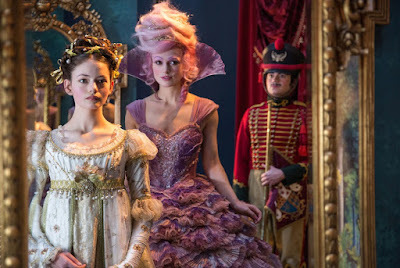 When contemplating my viewing experience with Disney's "The Nutcracker and the Four Realms," I can not help but admire the effort while finding it completely superfluous at the same time. Both ambitious and utterly clueless. Ambitiously artistic while being shamelessly corporate. To say it has an identity crisis would probably be an incorrect assessment. Instead, what I will say is that it is a movie that wants to reinvent the wheel while holding onto the clutch that has been controlling the same engine for years. "The Nutcracker" itself has been an annual tradition for most people who celebrate Christmas. The music is iconic, there are yearly ballot productions of the show, and there are multiple films that have been made adapting the source material (including one that starred Macaulay Culkin if you can believe it). Taking that into consideration, I'm not terribly surprised that Disney would eventually want to take a crack at developing their own version of the story, since the company has created many other Christmas traditions as it is (and would always be happy to add a few more). If they could release something with an iconic name on it while doing enough different with it that it couldn't be confused with any of the other products with that name, then it might be considered a reasonable success. Time will tell if the gambit pays off, because there are two camps involved when it comes to classics: Those that love a love a good tradition and those who would rather see it done a little different if forced to site through it every year. "The Nutcracker and the Four Realms" certainly does something different, by eschewing most of the ballot sequences, creating an original story of Clara (Mackenzie McFoy) discovering a land of four realms inside the closet of a mentor of hers (Morgan Freeman). When entering this land I found it strange that the four realms aren't explored more nor do we understand how they work. There is an enchanted forest of some sort where witches have cotton candy for hair and the mice assemble into a mosaic that creates a bigger mouse. 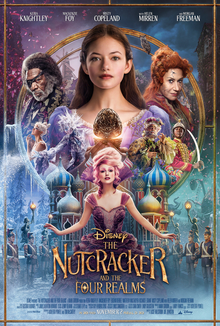 The Nutcracker in the title is not made of wood nor stone, but appears as just another regular solder and contributes much less to the story than you would expect him to. 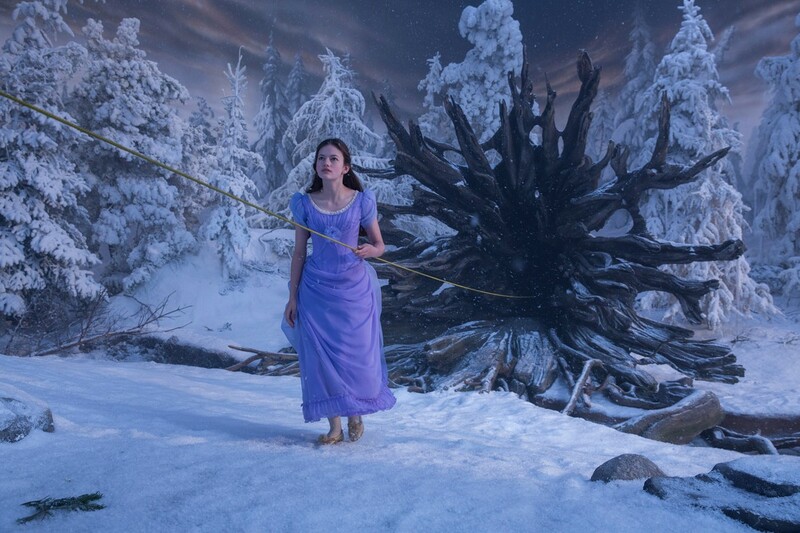 Clara and her journey to find a key to a final gift her departed mother gave her is the focus of everything here. What is here, though, isn't all that substantial. I mentioned a few locations above, but those locations never feel like fully realized worlds. 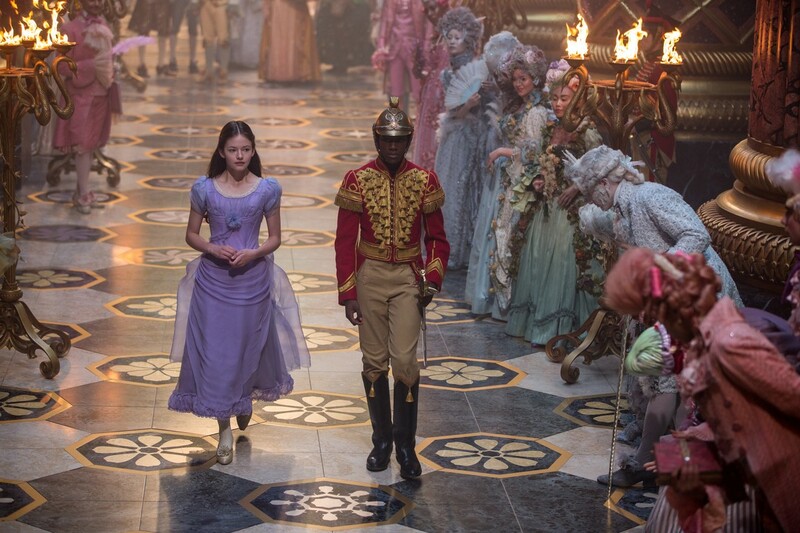 I mentioned the Nutcracker out of obligation more than I did because he's important. I mentioned what Clara's journey is and what she wants to do, but the payoff is less emotional and more of a cliche Disney moral than anything else. I'm not even sure if I can blame anyone but the corporation for how this all turned out. The film cites two directors: Multiple Academy Award-nominee Lasse Hallstrom ("My Life as a Dog," "What's Eating Gilbert Grape?") and Joe Johnston ("Captain America: The First Avenger," "The Rocketeer"). 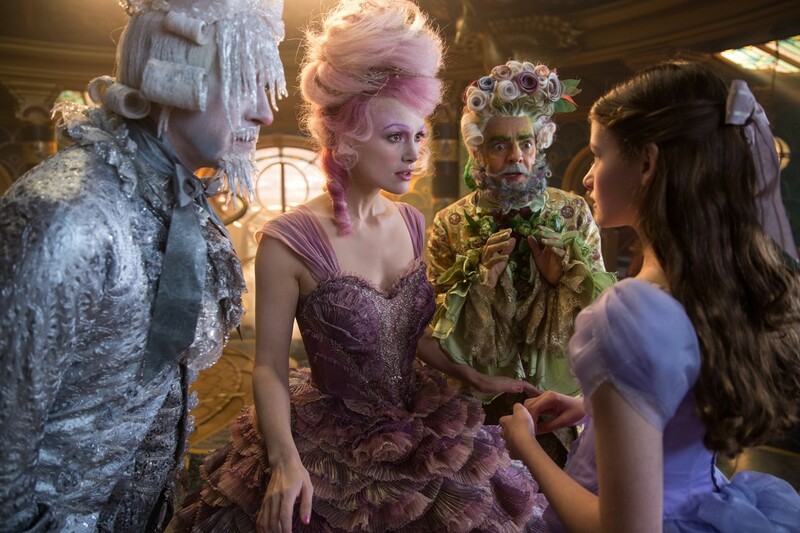 Reportedly, Hallstrom directed the vast bulk of the movie, but was unavailable for reshoots. Johnson stepped in to finish the job. Reportedly, the footage gelled so perfectly that the two requested co-director status. While that is a noble gesture, I'm not sure that's something I would brag about, as that story suggests the lack of imagination and cookie cutter nature of how everything came together was designed from the top rather than the bottom; designed to be pretty enough to feel artistic, but generic enough that anyone could have made it. At the end, "The Nutcracker and the Four Realms" wrote my review for me when it closes with a ballot to the classic Tchaikovsky tune that transformed into a man doing a hip hop dance to a slightly modified remix of the classic tune. If that doesn't sum up the identity crisis of this film (as well as the inability to decide what it wanted to be) perfectly, than I don't know what does. Parents, there is some mild violence and I believe one or two curse words, but nothing too bad. Recommended for ages 7 and up.